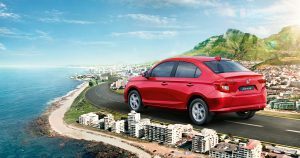 Honda Amaze – All you need to know! 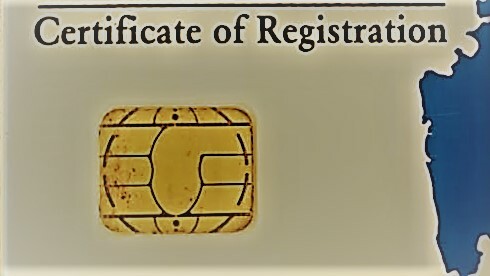 Honda Cars India Ltd. is a part of Honda Motor Corporation of Japan. Born out of sheer engineering brilliance and design sense, Honda cars in India have made their mark with the diverse genre of cars. 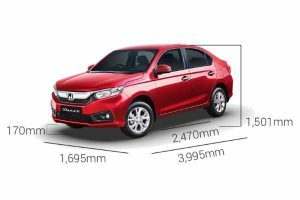 From Honda Brio in the hatchback category to Honda Amaze car in the sedan segment, Honda has vehicles in almost all the categories. The 2018 version of Honda Amaze car was recently launched in India. 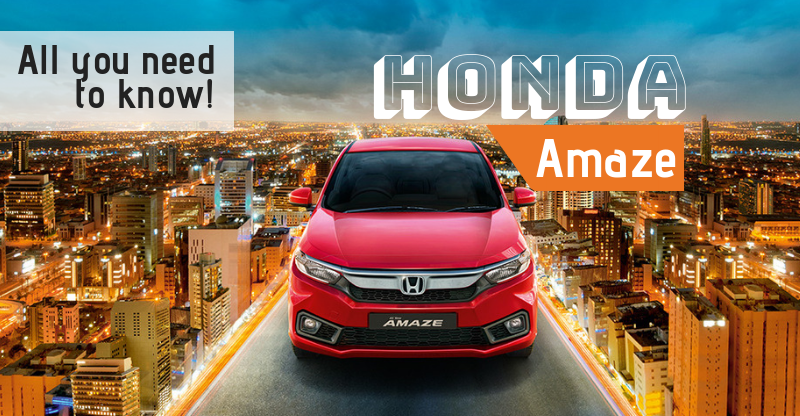 Are you planning to buy a Honda Amaze car in India this Diwali 2018? 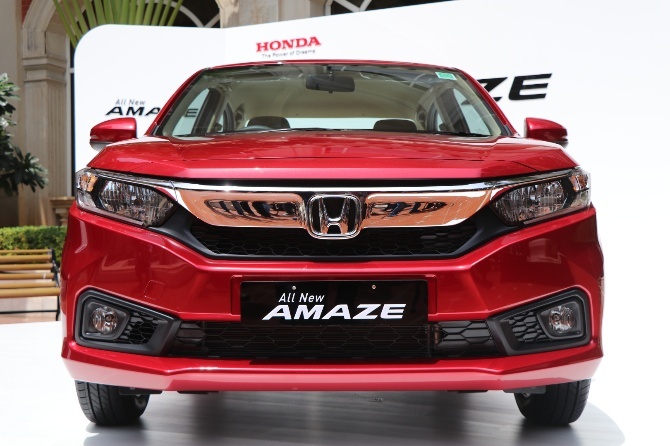 The 2018 Honda Amaze car is priced in India between INR 5.81 Lakhs to INR 8.11 Lakhs (Ex-Showroom Delhi). The diesel variant of the Honda Amaze is priced at INR 6.91 Lakhs to INR 9.11 Lakhs (Ex-Showroom Delhi). Under the hood, Honda Amaze car is powered by a 1199cc 4 cylinder SOHC i-VTEC petrol engine which puts out a maximum power of 90 ps on both manual and automatic transmission at 6000 rpm. This engine generates a maximum torque of 110 Nm at 4800 rpm. 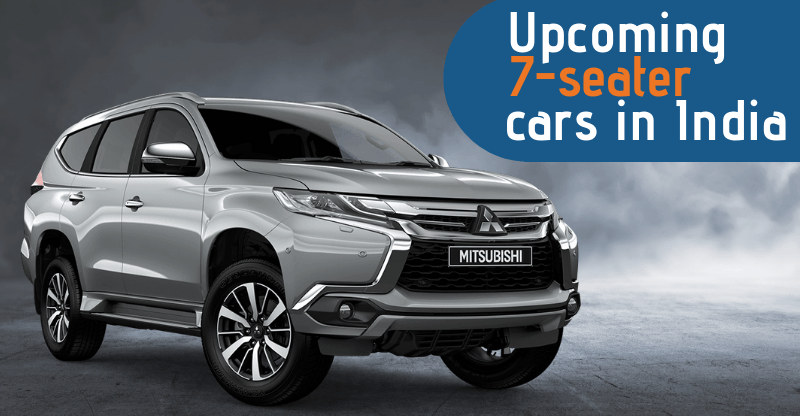 The 1498 cc 4 Cylinder, DOHC i-DTEC diesel engine generates maximum power of 100 ps at 3600 rpm on manual transmission and 80 ps at 3600 rpm on an automatic transmission. The maximum torque produced by this engine is 200 Nm at 1750 rpm on manual transmission and 160 Nm at 1750 rpm on an automatic transmission. The petrol engine on the Amaze car produces fuel mileage of 19 kmpl – 19.5 kmpl on both manual and automatic transmission. 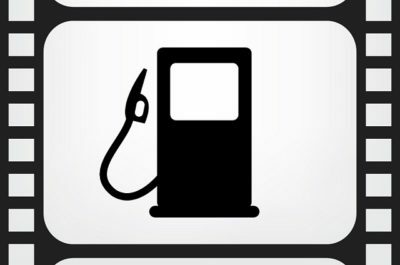 The diesel engine produces fuel mileage of 23.8 kmpl – 27.4 kmpl on both available transmissions. 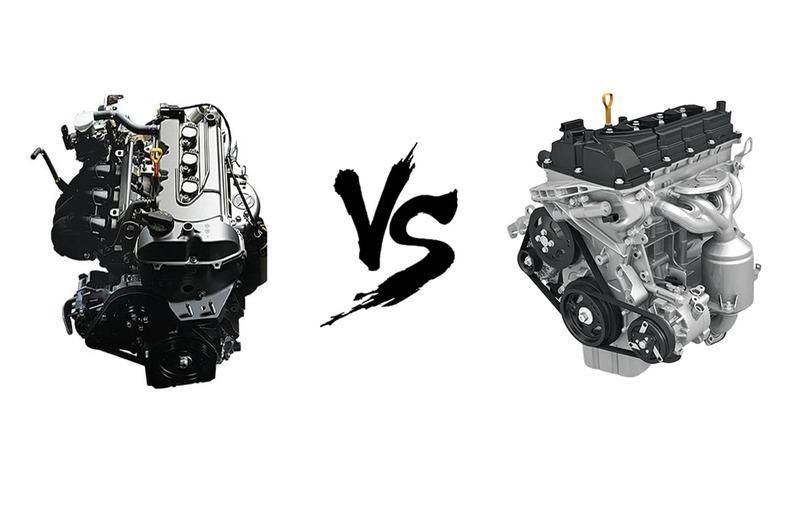 Both petrol and diesel engine on the Honda Amaze features 16 valves. Honda cars are known for their unique flawless design sense. The 2018 Honda Amaze features a brand new design language from its predecessor with signature LED position lights, front fog lamps, shark fin antenna, electrically folding ORVM with LED turn indicators, rear combi lamp and alloy wheels. The overall exterior stance of this sedan presents a plush feel with amazing road presence. Continuing its wowness in the cabin, Honda features dual-tone premium dashboard, multi-functional steering wheel, F1 inspired pedal shifter, push button start/stop and automatic air conditioning. With avid leg room space and comfortable seating, Honda Amaze is a perfect sedan with in the range of INR 5.81 Lakhs and INR 9.11 Lakhs. 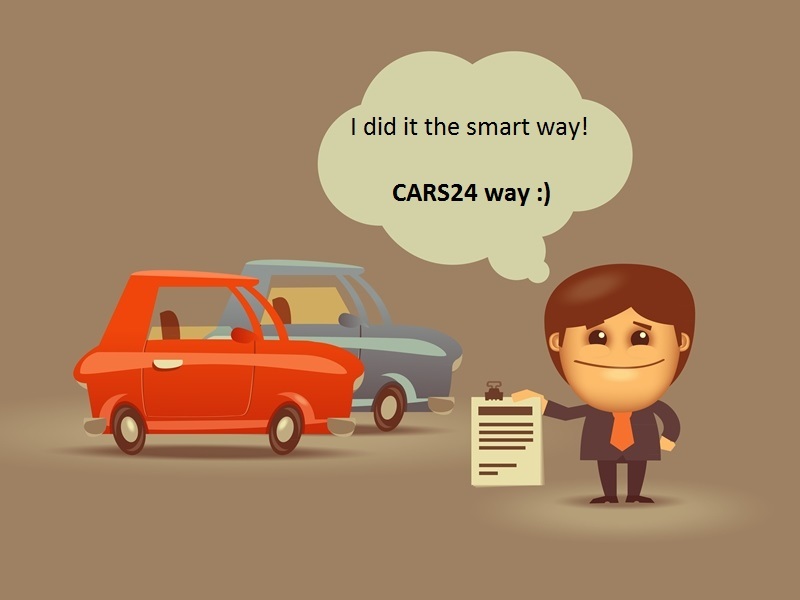 Safety has been the new age deciding factor for car purchases in India. 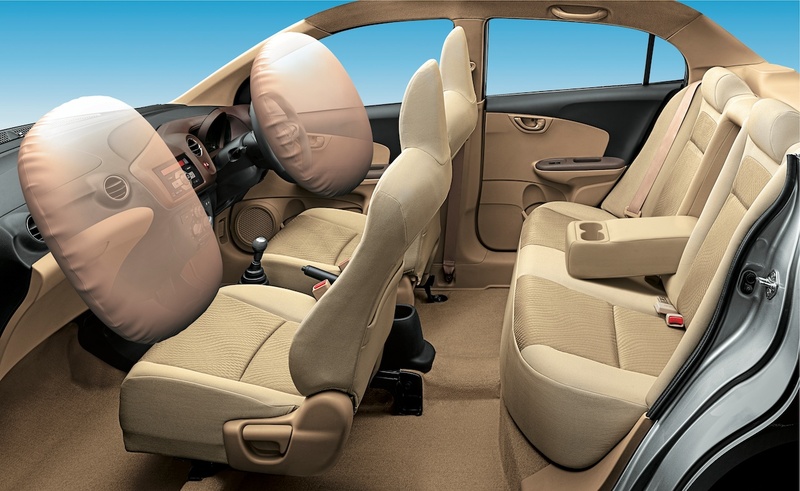 In terms of safety, Honda Amaze comes with dual airbags, ACE body structure, ABS with EBD, ECU immobilizer system, ISOFIX mounts and rear parking camera/sensor. 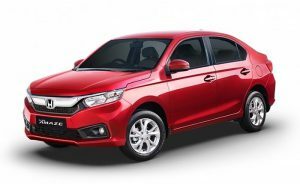 Why you should buy the Honda Amaze car this Diwali 2018? The cheapest model of ‘Amaze’ is priced slightly lesser than other competitors in the same segment. The leg room on the Honda Amaze is better than its competitors. The boot space of 420 litres on the Honda Amaze is better than other competitors in the same segment. The new 2018 Honda Amaze do not inherit looks from the ‘Brio’ and stands apart. Honda is offering a CVT gearbox option with the diesel engine for the very first time in the 2018 Amaze. The petrol version of 2018 Amaze also gets a CVT gearbox, with optional paddle shifters. Honda provides safety features such as Dual airbags, ABS with EBD, and ISOFIX child seat anchors as standard features in all the variants of the 2018 Honda Amaze. A highly responsive diesel engine coupled with a manual 5-speed gearbox makes the diesel variant of 2018 Amaze a pleasure to drive. The automatic diesel variant of the 2018 Honda Amaze is slightly underpowered when compared to the manual diesel powered variant. The petrol automatic variant of the 2018 Honda Amaze lacks the joy of high-spirited driving due to rubber band effect. The rubber band effect is actually a feature of the CVT engine which helps to improve the fuel mileage of the vehicle. No paddle shifters are available in the diesel automatic transmission variant of the 2018 Honda Amaze. 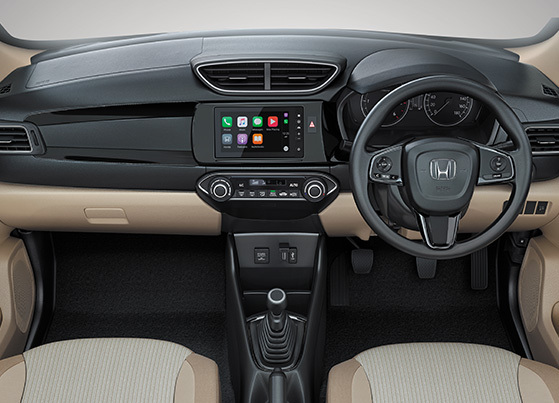 The CVT (Continuously Variable Transmission) version of the 2018 Honda Amaze is featured with a basic illumination system, illumination radio, USB, Bluetooth, and AUX. *All specifications of the Honda Amaze car listed here are courtesy Honda Cars India Ltd.